When investing in real estate there are literally thousands of creative things you can do for any particular situation. Much opinion is offered on forums, books, and websites about the best way to do a lease option in real estate. It can be VERY confusing for someone starting out and so I will outline in this post what I believe to be hands down the best way to create a win-win outcome when doing a lease option in real estate. What makes this method the best? It requires the least amount of time. It boasts the least amount of risk. It provides the greatest profits. It serves and strengthens the community. My method of doing a lease-option or rent-to-own as some call it is called Compassionate Financing created by financial educator, real estate investor and entrepreneur Kris Krohn. While I elaborate on the four points above you will see that it is truly compassionate at its core. When you are doing any task you typically want to become efficient so that the task at hand doesn’t consume your every waking hour and drain all your energy. The properties we are looking for that fit our parameters are those that need no more than $3,000 for fix up and repairs to make the house functional and “livable” and are typically three bedroom two bath homes. Now I say livable because your standard and my standard of what we personally would live in varies and great deal. Also by buying properties that require very little by way of repairs this drastically reduces the duration of time the property stands vacant waiting to have extensive work done to it in order to bring it up to par. Those to whom we will be occupying our properties don’t much care if everything is brand new or top-of-the-line. They are in such a position that they are very happy to have a place they can call home that is safe, functional, and livable. These types of properties are so easy to find because they are the entry-level homes all across the country and have the largest pool of prospective tenants or customers for us. Acquiring a property that fits this criteria greatly shortens the time it takes to get a paying tenant in place so we don’t end up paying for a property that is vacant. Risk is a risky word. I hear it ALL the time from people in reference to real estate investing even though in my opinion putting your money in the stock market, government bonds, or simply saving it in the bank is more of a risk than wisely investing in hard assets that produce cash like real estate. With that said, why does this method have the least risk? 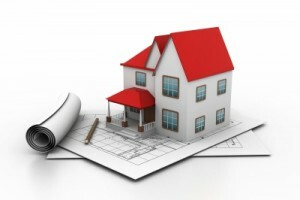 First off they way I purchase my homes is essential to cutting out lots of risk. That being, I only buy properties that are 15% or more below current market rates? What does that mean? It means if the market says this house is worth $100,000 then I’ll only buy it for $85,000 or less. That would put me at what we call 15% equity position or discount. 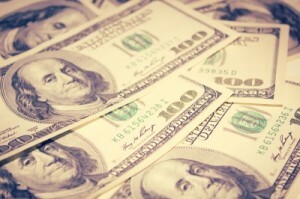 Next we collect an option or purchase consideration up front of $2,500 to $10,000 or more from our prospective tenants. If they default on the contract then this amount becomes non-refundable and you now have this amount for whatever needs to happen to get the property leased again. Another point that limits your risk is that the tenant contracts to do all the repairs the property requires. This is huge because it means they won’t be calling you in the middle of night to fix their clogged toilet or fix the garage door. This is what everyone really wants to know. Unfortunately many of us suffer from “shiny object syndrome” which basically means our logic goes out the window when we start hearing stories of big profits and fancy cars. Though this is very important I don’t want this to be the only reason you are interested in doing this. There are five profit centers with the Compassionate Lease Option Financing that we do. Appreciation if or when the market value increases. Because you bought the property below market value in the first place you can expect to capture much of that too. Other ways of doing real estate capture some of these profit centers but this method brings them all together. When the Great Recession swept the US and much of the world there were literally millions of people who lost their homes, jobs, and retirement savings inside the stock market. Many of these people’s credit and wallet took a huge hit which to this day prevents them from qualifying for a mortgage to purchase their own home. As things recover many of these same people are now gainfully employed and enjoy a steady income; however, despite their best efforts the banks will not loan money to them. This is where you and I, by implementing the lease option method described here, can really help these people and the communities in which they live. We do this by actually leasing to people whose credit has been damaged due to legitimate hardship. Now you might say that is risky, but I think different. You see these folks didn’t default because they chose to or that they borrowed money fraudulently. They simply were the unsuspecting victims of a massive financial near collapse. As these families move into our properties and treat them as their own homes and in due time actually qualify to purchase the home, these communities that were littered with foreclosures and abandoned houses begin to come alive and be vibrant again. Where you can get this in more detail for free! If you are like me then after you read something both interesting and compelling you want more information. Especially information about how to actually do whatever it is you just learned about. 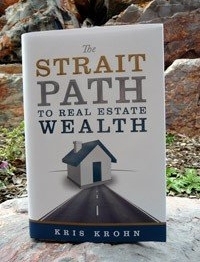 What I just outlined for you is described in great detail in the book Strait Path to Real Estate Wealth by author and investor Kris Krohn. I want to give you a free downloadable copy of the book with the all the documents and contracts needed to actually do one of these deals. I’ll even give you access to a series of video training where Kris walks you through and explains the whole process. In the sidebar and footer of this page you will find the form to gain access to your free download and in the following two weeks I’ll provide you with the documents and video training. So get your e-book and start learning about the best way to do a lease option in real estate! That does seem to be a win win option indeed. Less risk and more profits, it would be the perfect option for me. Thanks for sharing this and providing all the info, It is something I may actually do. Great to hear you found value in this approach. There are plenty of ways to make money in real estate but it makes it so much better when you can serve deserving people and your very own community! Thanks for taking notice of the work I’ve been putting into the site. Please feel free to browse and let me know if you have any questions as I love to help. Thanks for the logo compliment! Thank you so much! I appreciate that. And you are welcome! Residual income is alwyas the best way to go and I too would recommend anyone to seek out the sources. I totally love the Kiyosaki series and I have to say that the man changes lives with his insights and education. Because of him I am now teaching my young son to break out of the I want good job mentality.To Douglas, there are traditional brick and mortar companies that are scammers. Just because the internet is associated with it, it doesn’t mean that it’s not legit. I have earn commissions from a slew of companies, but you have to research. A big mistake that I see prospective home business owners making is that they blame the company just because they have not been taught to market. I had to learn this the hard way over ten years ago about this industry. If you can market, you can make the money in any economy. Not everything is a scam, though. 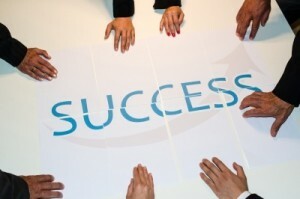 There are actually many companies out there that wants to see you succeed. Great to hear to are teaching your little boy to think a little different and not follow the crowd. Yes Kiyosaki’s work is excellent! I have read many of his books too. Yes I agree with you that applying proper knowledge is hard work. And you are right that not everything online is a scam and vice versa. Research is key and sometimes instinct or gut feelings help too. Congrats on your successes! Glad this article was easily understood and interesting for you. The cons would be: sometimes you don’t get the best tenant, though that can happen in any rental situation, or they don’t fix the stuff they contracted to fix and leave it broken etc… This is why it is critically important to have a reserve account to deal with these types of things as they arise. The option/purchase consideration is meant to help with that too should it come to it. Unfortunately all legal questions shuold be answered by an attorney. However, my layman opinion is a landlord is able to raise the rent as much or as little as they want since there is no governmental rent control in Texas. Typically rent changes will be based on changes in demand for the apartment. You are very right. 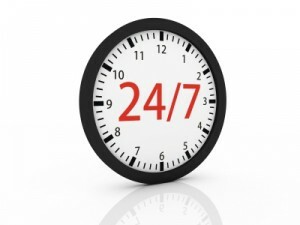 Specifics for legal questions should be answered by a competent attorney. Your point about the landlord being able to raise rents as much as they want is true in places where rent-control does not exist; however, like any service in the open market with competition you will find that if you price your product or service too high for the value it provides then your customers (in this situation the tenants) will simply move out in search of something more affordable. That is the beauty of the free and open market where competition between service providers and demand from consumers really creates a great equilibrium. Pretty extensive information on this page Joe, you certainly know your Real Estate Investing. Plus you have done a great job with your site, the content is broken up nicely with plenty of engaging imagery. Thank you for reading and leaving a comment with compliments! I’m pleased it was visually appealing as well! 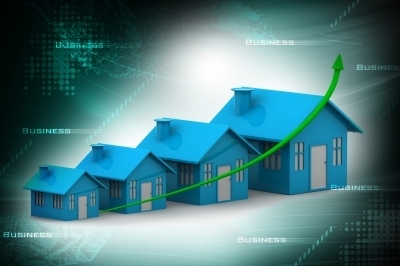 Thanks for this interesting and easy to understand article about real estate investing. 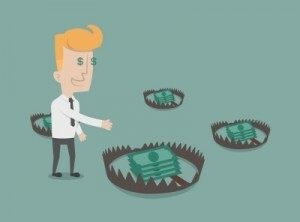 Understanding how simple some of these strategies are should help to attract new investors to these markets as they recover. I like how you pointed out how this is really important to local and even the nations economy! I’m downloading your e-book! You are most welcome! Education is the key for sure. Some mentors of mine like to say, “Education for Effective Action”. Like you mentioned here once people are educated about the possibilities and how simple they really are to implement that starts changing people’s lives! Thanks for taking the time to read and comment! PS: Enjoy the book, docs, and video training. You have done so well in being thorough in all of your material. I really like the layout and the use of colors to catch the eye!! I hope to be as far along as you are in the next couple months! I am convinced you definitely know your real estate! Thanks for the kind words about the content and the visuals! I believe reading and learning is made more effective when we can use more than one part of your brain. Thanks for stopping by and commenting.